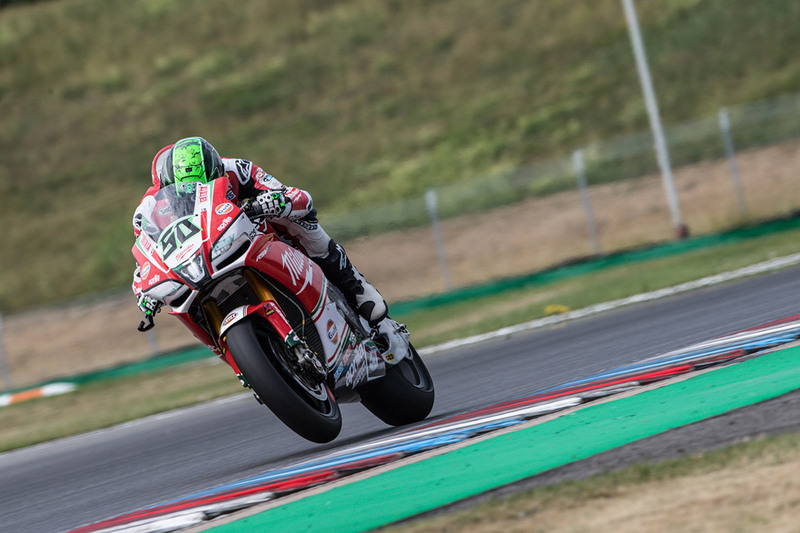 Eugene Laverty and Milwaukee Aprilia teammate Lorenzo Savadori scored P6 and P7 in Race 1 on Saturday, after a red flag and botched restart at the Brno Circuit. A turn 5 crash on lap 4 between other riders resulted in dangerous track conditions, and brought out the red flags. The field pitted and awaited the restart. 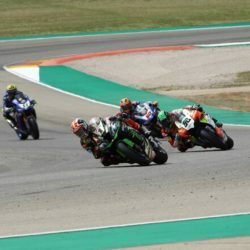 Officials announced a quick restart procedure, however a technical fault with the starting lights forced the start to be aborted, and riders had to take their grid places again for the resumption of the race. On the restart both riders were attacking, Eugene holding strong in P7 while Lorenzo followed in P9. With good changes made in the red flag period they showed a much improved form, with Eugene passing Davies for P6 on lap 7, and Lorenzo passing Camier for P8 on lap 9. Lorenzo then followed up with a move on Davies for P7 on lap 12. 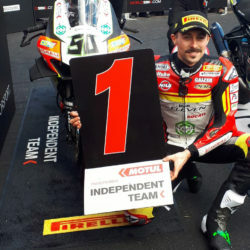 Eugene eventually led Lorenzo home to take P6 and P7, scoring a total of 19 points for Milwaukee Aprilia in another positive double points finish. 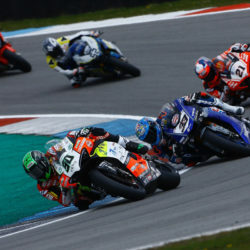 With starting positions of P3 and P4 from rows 1 and 2, the riders will have another big opportunity in Race 2 to build on the team’s growing form, and to deliver a strong points haul in the leading group.